As we lose the analogue television signal, the impetus to get rid of old analogue televisions is even stronger. The cathode ray tube makes them bulky and heavy next to the sleek lines of plasma and LCD televisions and the need to have an external box to pick up a signal adds to the feeling that the time has come. But that same bulk that seems so annoying in the average living room is key to quite a lot of art from the last few decades. The box is part of what can blur the boundaries between moving image and sculpture. 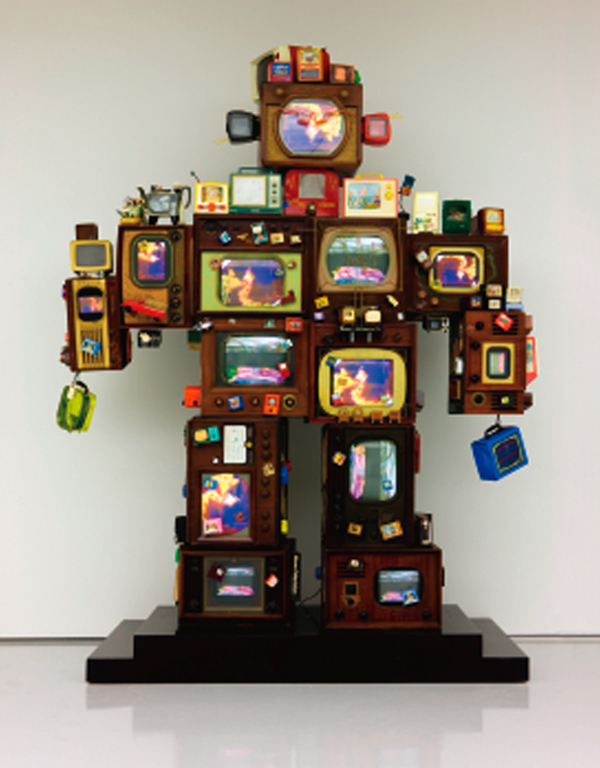 In the case if Nam June Paik’s TV is Kitsch it is the physical presence of the television casings that gives the work its form. The television interventions of the likes of Hall, Arnatt and Burden are things I always tend to think wouldn’t happen now, or at least not on mainstream television. But there’s this nagging doubt that say, but if those things aren’t possible, how did art – and pretty subversive art at that – sneak its way into Melrose Place (yes, Melrose Place, an Aaron Spelling production) as recently as the mid to late 1990s? It doesn’t sound likely. And yet, it happened. 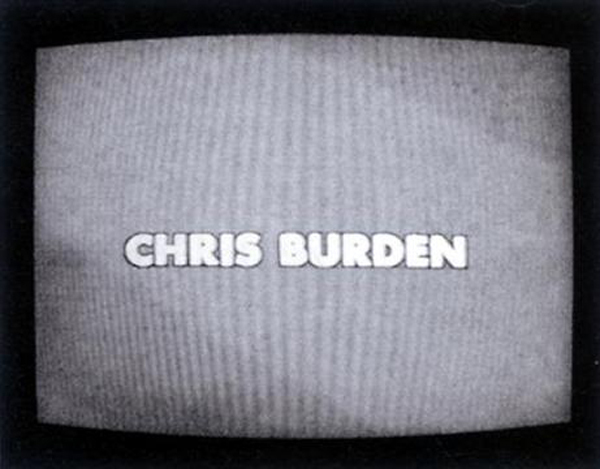 For Chris Burden, best known at the time for difficult and dangerous performances such as Shoot (1971), television offered an appealing platform. His initial proposals for performance works having been turned down, his first television appearance was a 1972 interview that he – literally – hijacked to pursue his own agenda, turning the interview into a performance called TV Hijack. It’s not this that I want to write about though, mostly because I find the idea quite hard to contemplate but also because I find his subsequent strategy of buying advertising time rather more interesting. Art isn’t usually advertised on television – the Damien Hirst retrospective at Tate Modern notwithstanding – and the idea of an artist working with the format of a 10 second advert is an intriguing one. 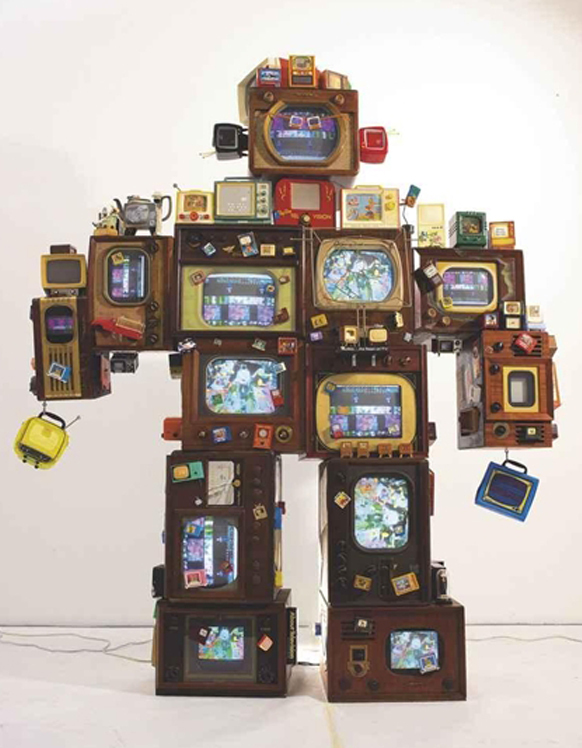 Art and television don’t have much of a relationship. There are programmes about art, of course, but even though video art is pretty common in galleries, there’s not much actual art on TV. To an extent, it was ever thus. 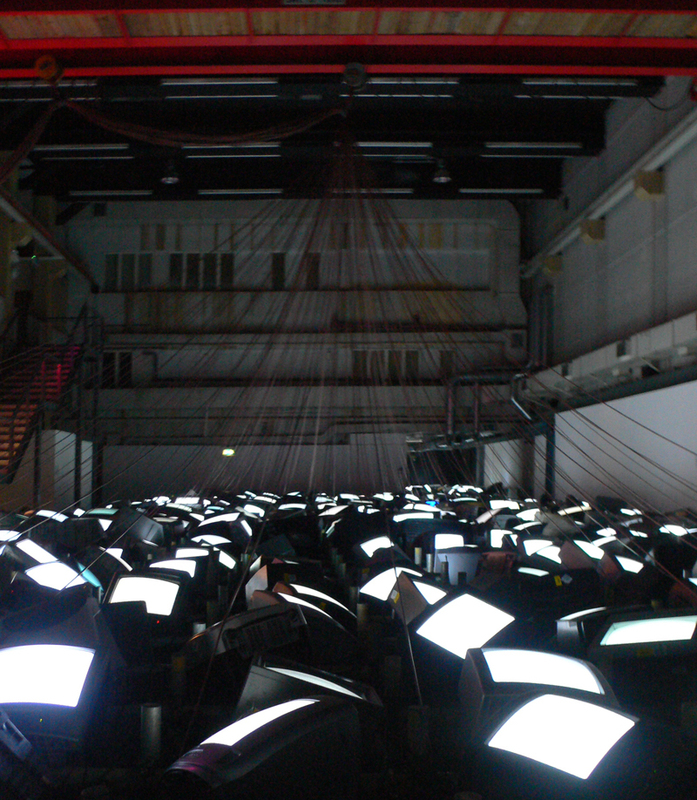 But there are some interesting examples, and as the analogue switch-off approaches here in London, it seems like a good time to think about them, especially as the occasion is being marked at Ambika P3 with a timely exhibition of David Hall’s work. 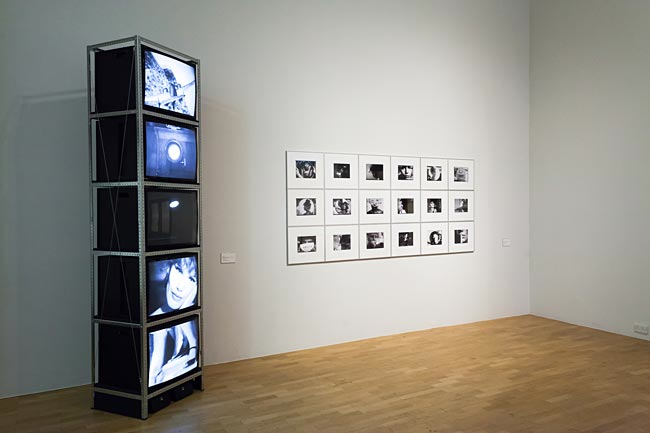 Trained as a sculptor, David Hall turned his attention to experimental film at the start of the 1970s, ultimately becoming a pioneer artists’ film and video in Britain, and coining the phrase time-based media. 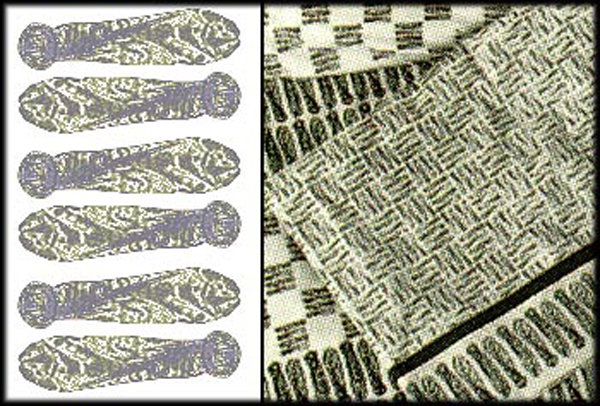 In 1971, Hall was commissioned to make a series of works to be broadcast on Scottish television. This series of TV interruptions were broadcast unannounced and uncredited to what must have been a somewhat baffled audience.